$349 for all 3 GAMSAT books, Save $40! 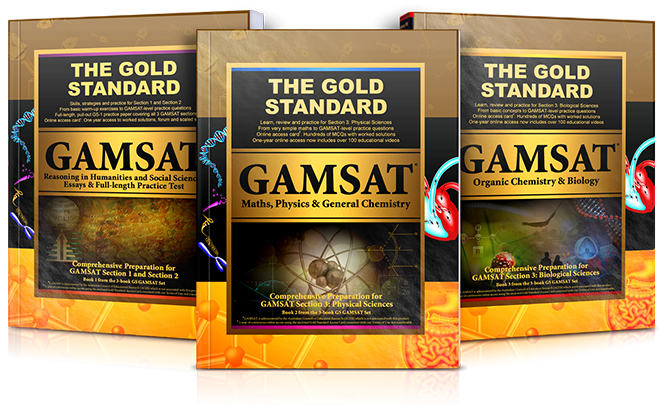 The first GAMSAT textbook - ever – is now separated into 3 books and expanded by hundreds of pages as well as new multimedia forms of teaching. 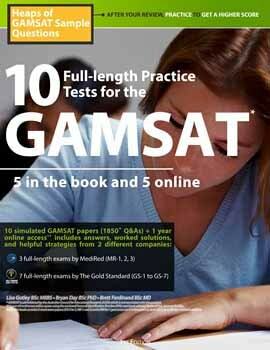 All GAMSAT content is covered for the 3 sections of this important exam in remarkable detail making it the single most important GAMSAT preparation resource for science and non-science students alike. Come learn from our experience. 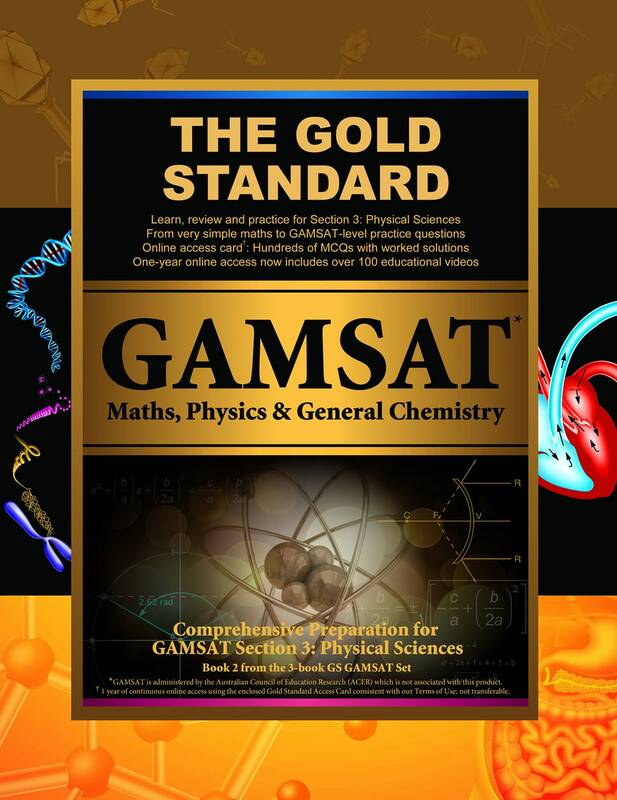 The new Gold Standard GAMSAT textbooks, with hundreds of brand new pages of helpful content in colour, are our latest editions which we are also using as the bedrock for our 2019-2020 GAMSAT courses. We started by adding more Section 1 and 2 strategies, practice questions, and mini-tests with worked solutions. We also significantly expanded our Dimensional Analysis and GAMSAT Graph Analysis sections among our GAMSAT Maths chapters. We also added a speed-reading and comprehension section to Book 1 as well as to the online component that comes with the book. The latter also explores content from simple to complex including logs, exponents, and lots of practice questions with helpful worked solutions. Included are revised questions for the full-length exam at the back of Book I. 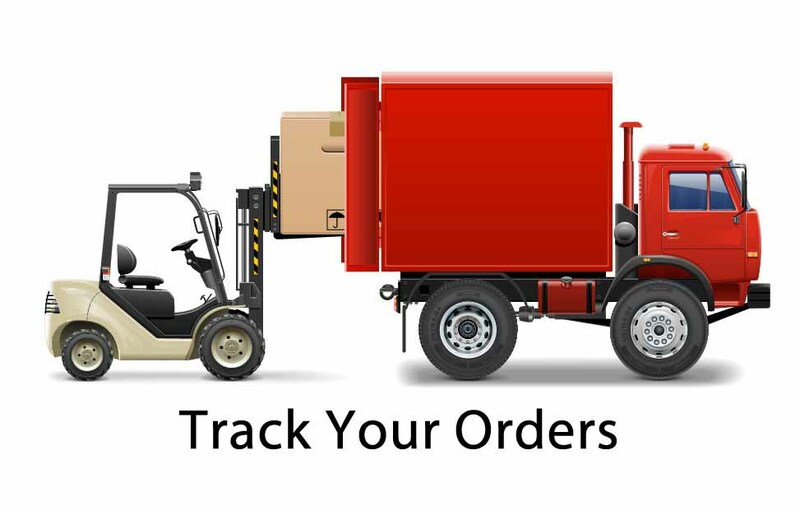 And, for the first time ever, a total of more than 1200 practice questions are available in the books and online using the Online Access Cards which are found in each GAMSAT textbook. No science background in university? Great in the sciences but little experience reading from the humanities or writing essays? Had a bad experience with a high school physics teacher? Full time arts student? Full time mom? Part time job? It's OK. The Gold Standard has you covered. This is not just a textbook, it is a learning experience. 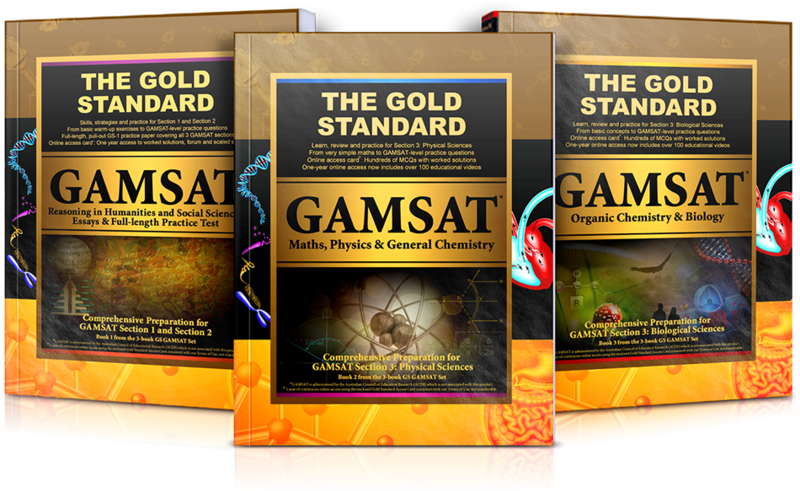 The Gold Standard has integrated textbook reading with many free features including online problem solving with explanations, essays for you to review in the book and online, hours of online teaching videos with ideas presented in clear terms, online equation lists and organic reaction summary, hundreds of additional practice questions with a forum thread to discuss every individual question - for free - and much more. 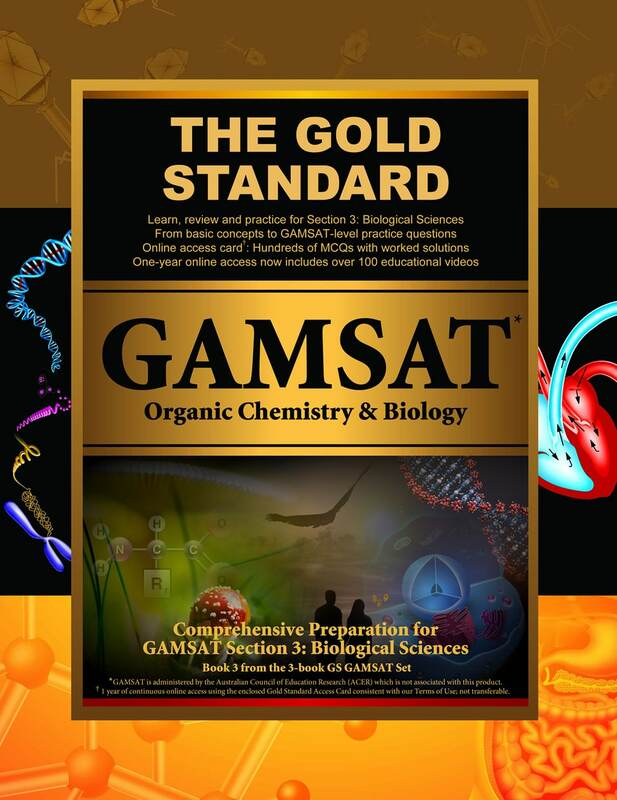 We also offer the Gold Standard GAMSAT online videos with helpful strategies for all test sections. The latter includes all the major GAMSAT science topics clearly explained; and to increase study efficiency: flashcards, MP3s and an iPhone application. The flashcards and iPhone App point to which section in the book you can find more details. The videos and the explanations to the practice tests also point to specific sections of the book should you require clarification. A multimedia integrated approach so you can choose the tools that help you study best. 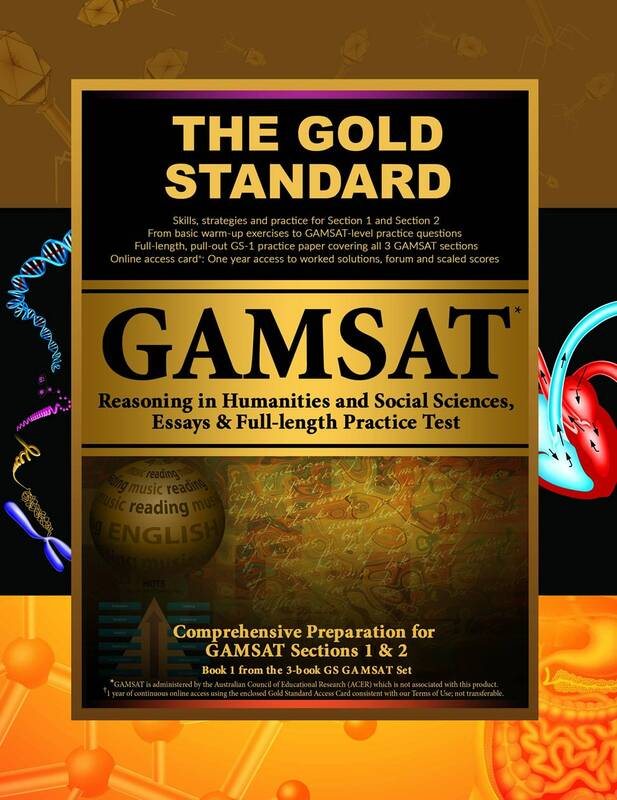 The Gold Standard GAMSAT textbooks stand at the center.